Qur’an Memorization (in Arabic) and Understanding (in English) Contest, organized by ICBR. Registration fee is $5 (accepted till the day of the contest). Insha Allah, the contest will be held on Saturday, June 9th, between 2-5 pm, at Masjid Al Rahman.. 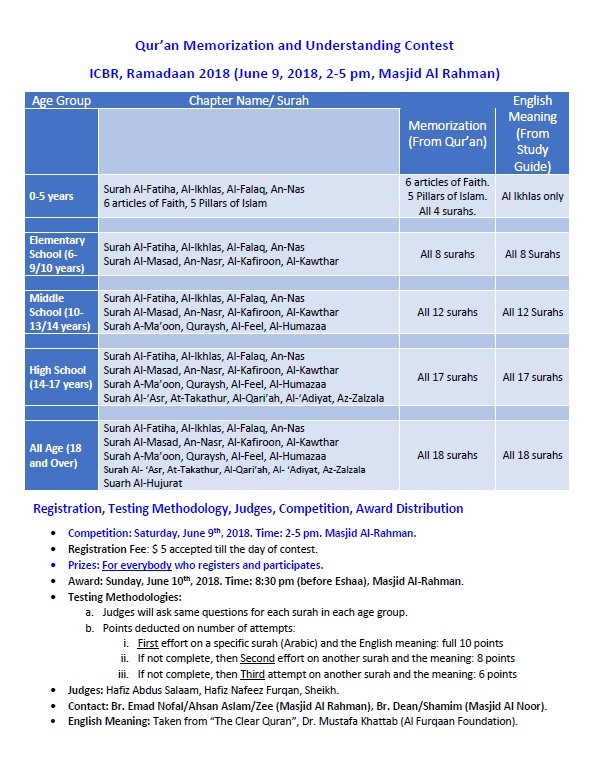 The purpose of the contest is to encourage our children to learn last 17 surahs and their meaning (in English), the organizers decided to give prize to ALL participants (on June 10th), Insha Allah.